In our last article, we wrote about how to probate an estate for a missing person and prior to that we wrote about lost wills. In response to these articles, one of our readers asked several questions about safe deposit boxes in Texas. This is another topic worthy of consideration. Texas’ estate laws address safe deposit boxes. The search for a last will and testament and other papers is one of the first steps to take after someone dies. The will is generally needed to start the probate process. 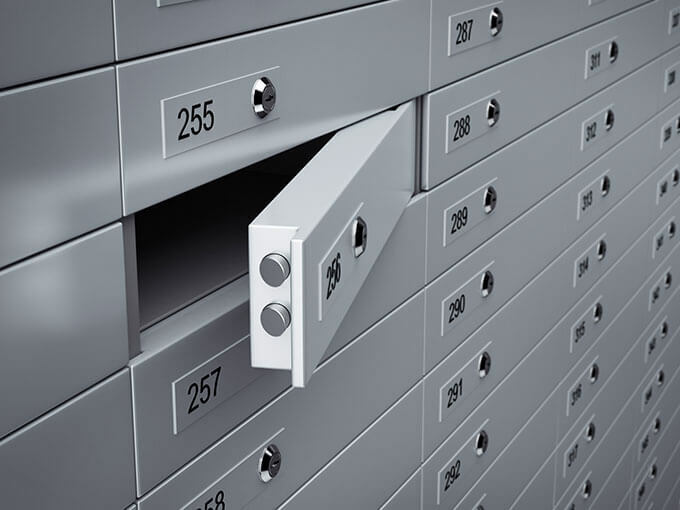 While the interested parties may be able to gain access to the decedent’s home and business, they may not be sure if they can access the decedent’s safe deposit box. Texas law allows the decedent’s spouse, parent, descendant who is over 18 years of age, or the person who is named as executor in the decedent’s will (if the person is able to produce a copy of the will), access to the decedent’s safe deposit box. Joint owners on the safe deposit box can also access it after the decedent’s death. Banks will typically allow these parties supervised access to the contents of the safety deposit box. But other parties may not be given access. But some banks may refuse to allow anyone to access the safety deposit box. This usually comes up when a non-spouse executor or the decedent’s brothers or sisters try to access the box. If the bank refuses access to the safety deposit box, Texas law provides a relatively simple means for obtaining a court order. This involves filing an application with the probate court. The probate courts routinely grant these requests. The probate court’s order grants access to the safe deposit box and to ability to examine any papers in the box. The access is supervised by the bank personnel to ensure that assets are not taken from the box. The probate court’s order may also grant the power to remove assets. This does not grant title to the property. Rather, the person is generally required to turn the property over to the court.